It's a case of "never cry wolf" for an overcautious geologist in this made-for-cable disaster flick. 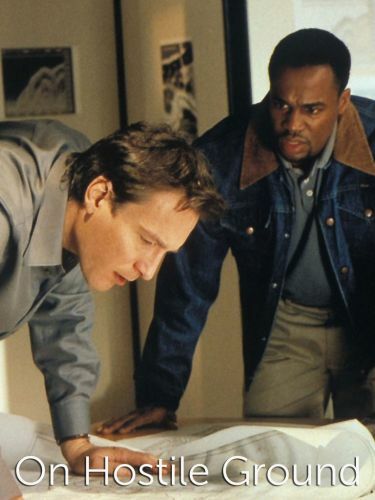 Plagued by an accident that he failed to stop years ago, Louisiana earth-watcher Matt Andrews (John Corbett) thinks that the ground is going to cave in beneath downtown New Orleans -- during Mardi Gras, no less. Meanwhile, main squeeze Allison (Jessica Steen) pleads with Matt to forget the past and get on with life, which in her mind involves proposing marriage on bended knee with a multi-karat engagement ring. Then the ground rumbles, impeding the progress of several parade floats as well as Allison's nubile niece Cindy (Brittany Daniel), who's in town for some fat Tuesday decadence. On Hostile Ground originally premiered on the TBS network.